Florence’s story is one of hope and courage. 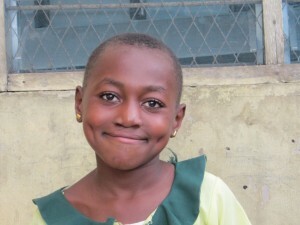 She was born at home on July 13, 2003 in Swedru, in the Central Region of Ghana. The youngest of three siblings, she is the only one who was affected by an incomplete right cleft lip and incomplete first degree palate. 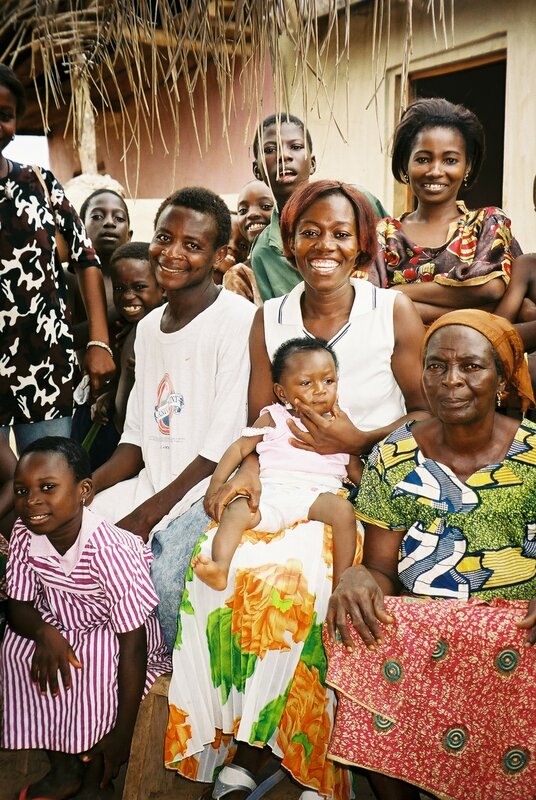 When Florence was born with a cleft lip, the family and extended family, were disappointed. Florence’s mother could not understand why she was born with a cleft. People started gossiping about them. Her mother was told that her enemy charmed her. She and her husband wept bitterly. Florence’s mother says that when Florence was a baby, she would strap her to her back and bring her to market with her. Many people she met along the way would ask her what happened to the baby’s mouth. She would answer that her baby fell and hurt her lip. When she brought Florence to a creche in Swedru, partly to avoid having to answer many questions from on-lookers, the proprietress received the baby as her own. She took good care of her and would even bath her before she, the mother, returned from work. This support helped her to deal with the stress associated with Florence’s birth. In addition to the proprietress, both the midwife and grandmother were vital in ensuring that Florence was treated despite the family’s despair and local beliefs. Without their intervention, Florence could have faced the destiny of many children in Ghana with a cleft condition: abandonment and death in the wilderness. Florence as a baby, in 2007 at age four, and in September 2013 at age 10. 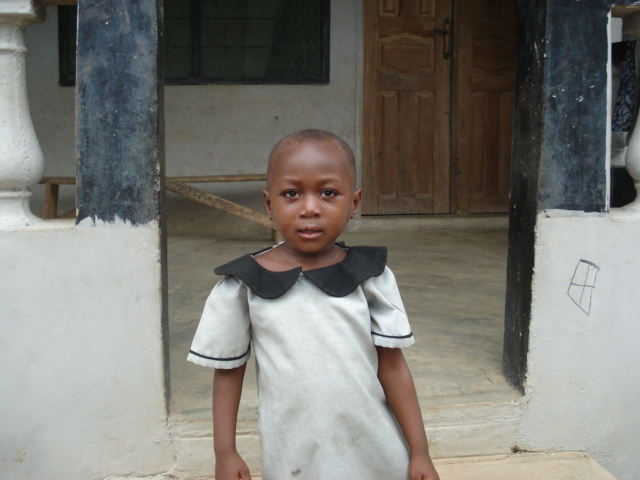 The midwife was certain that the cleft could be repaired and Florence’s grandmother was determined to find a solution. They took Florence to the hospital in Swedru for treatment. It was from there that Florence was referred to the Cleft Lip and Palate Management Project, Ghana (CLPMP) for treatment. Florence underwent surgery on December 3, 2003. Her case has helped the community become educated about cleft lip and palate. Her parents are now proud to show her off. Their lives have been changed thanks to determination of two women and the local care she received. The local coordinator, James Hottor, recently visited Swedru. It’s a mostly agricultural region and her parents are farmers. 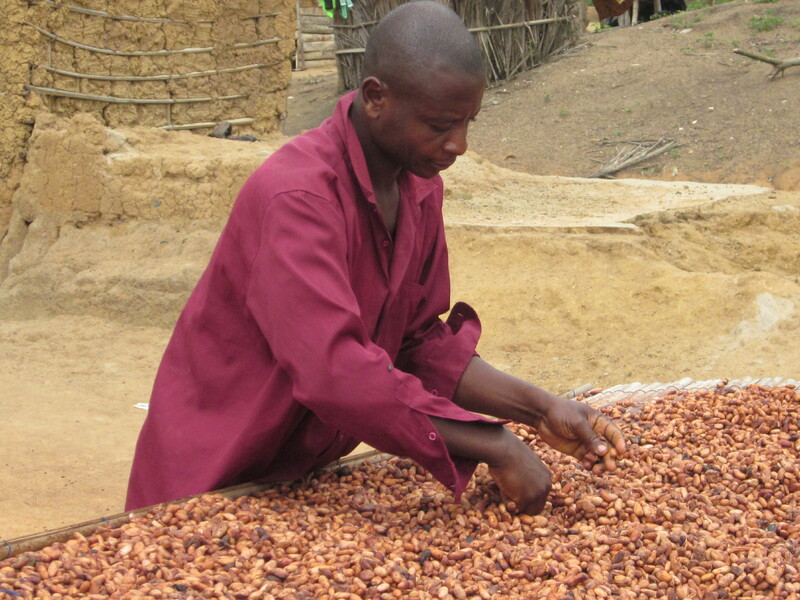 He met with Kofi Poni, Florence’s father, who had just returned from the farm and was tending his cocoa beans. 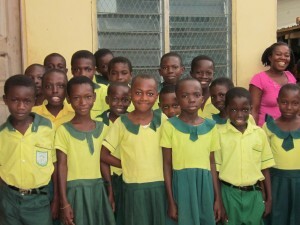 Florence is now in Class 5 and does very well in school. She is the brightest among her siblings and mixes well with her friends. She has no problem with speech and hearing.